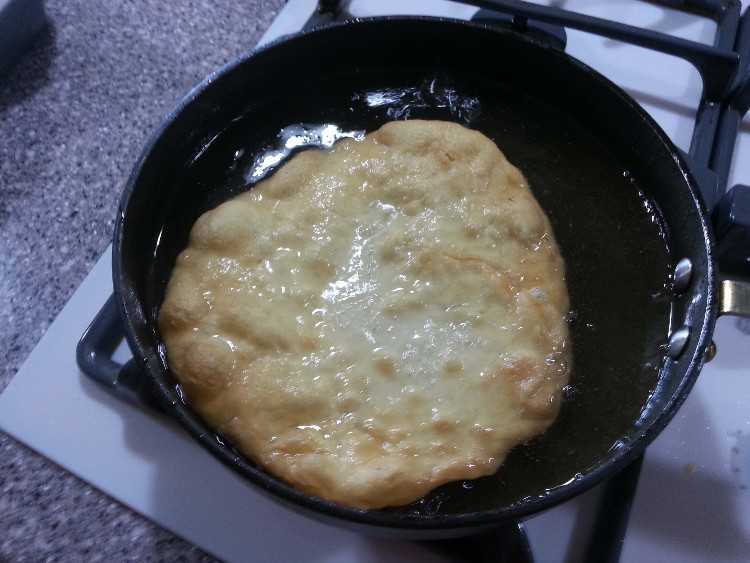 In my region, Fry Bread Mix is available so I can just add water to my mix and I'm good to go! So if you can get the mix, go for it! If not, follow the instructions for the fry bread below. Put flour in bowl, add baking powder, salt and powdered milk. Mix. 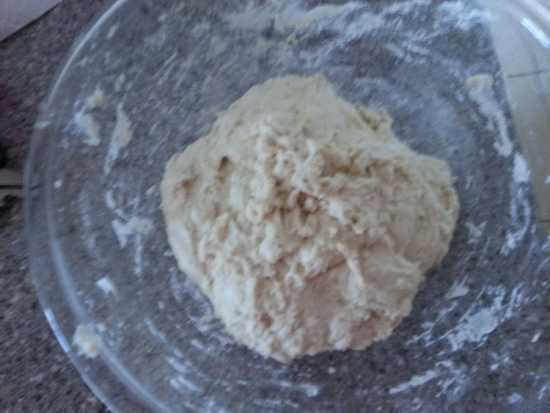 Mix in warm water to form dough. Knead dough by hand until soft but not sticky. Cover with a cloth and let stand for 15 minutes. Shape dough into balls about 2 inches across then flatten by patting and stretching the dough. Melt shortening about an inch deep in frying pan. 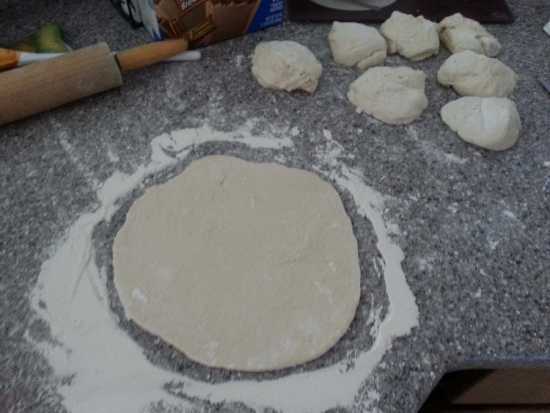 When hot put dough in pan. Fry one side till golden brown, then turn and fry the other. 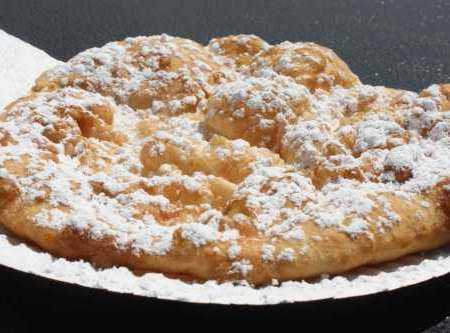 This is a wonderful bread that can be used as a dessert by topping with honey, powdered sugar, etc. or can be used for main dishes such as topping with taco ingredients for an "Indian Taco". I like mine with powered sugar :-) YUM!